Hey guys. Just did a head gasket on my 97 850 T5. The heat works great. but all the air just blows out all the vents, no matter which is selected. Is this vacuum operated? if so, where is the vacuum line? After I got everything back together i do have one really long and thin black vacuum line left, but I cant find where it goes for the life of me. I'm assuming this is my problem, but any other help would be great. Thanks guys! 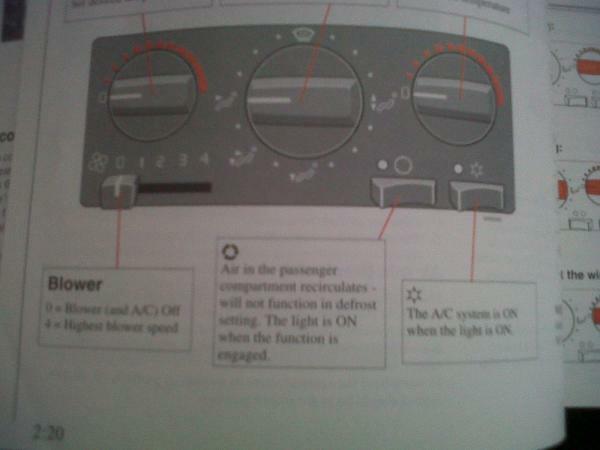 LOL, nothing under the hood will effect the vent controls inside. The system has a bleed door. Sometimes the plastic gear/arm breaks. Depends on whether you have ACC or MCC; see attachment. Considering the trim level, I assume you have an ACC, in which case the damper motor(s) may need adjusting. The MCC, manual climate control will have a fan speed switch with 4 speeds and the temperature control ***** go cool to hot. The ECC, electronic climate control will have a slider for infinite fan speeds and the temperature control ***** will have numbered temperature selection. Last edited by 94850Turbo; 12-19-2012 at 04:23 PM. 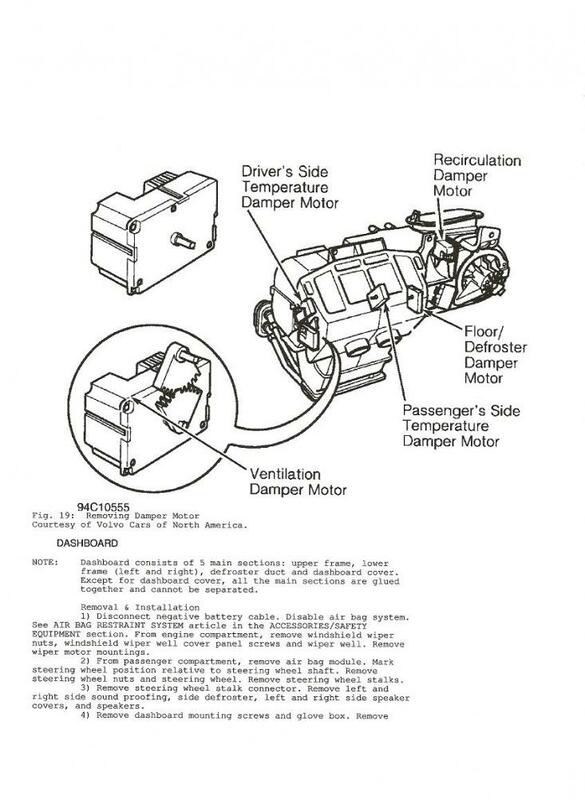 Under the glove box, just to the left of the blower motor. You need to pull the panel under the glove box to see it. ok thanks, so that would be the culprit of not being able to select where the heat is distributed? thanks..hopefully i can look at it tomorrow! It's an ECC unit, I was under the impression that the "door" to route the air was controlled by vacuum. Thanks for the advice, ill dig into it here soon and let you all know! 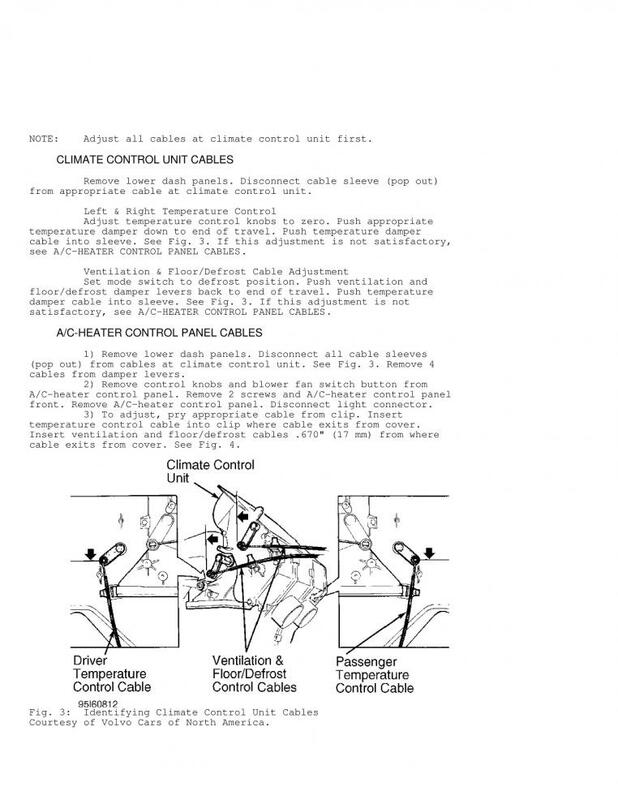 No, that arm controls whether air comes in from outside or recirculates. It's an ECC unit, I was under the impression that the "door" to route the air was controlled by vacuum.! Unfortunately the ECC uses little motors to move the doors. 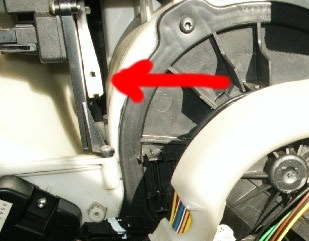 I have Volvo 850 1996 m. I want to ask, how close the "Air through panel vents ", because when i switch to the another function selector, the air coming out the same from panel vents. It is should be a damper motor? And where he is? How close? There is a wheel for that on the dash. This wheel is beside the center vent. That may not be your problem, but it is a strange feature that other cars don't have. 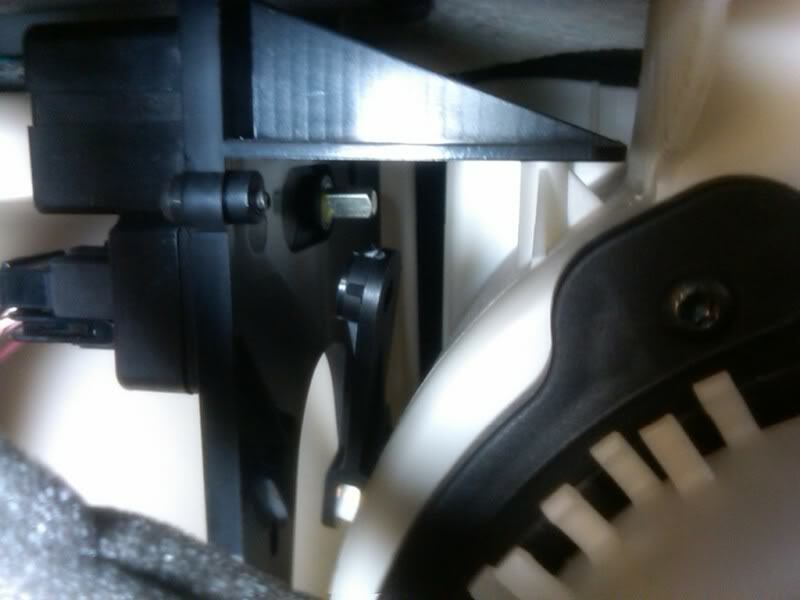 Volvo 850 has this strange wheel that sends cold air to the center vent while the heater is set for another function. I am trying to find the replacement dial for that myself. I have a 97 850. You can squeeze the dial and pull it directly out. Inside of it there is a small metal clip that has become bent. 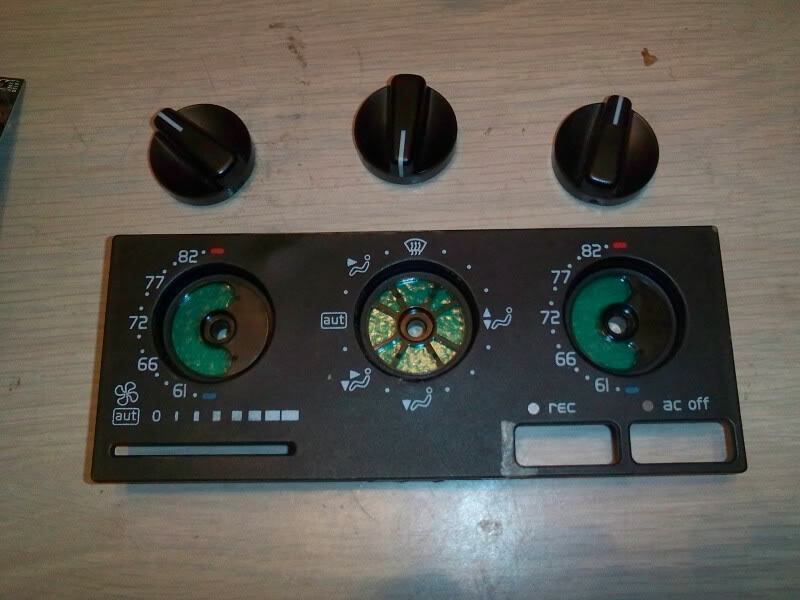 I don't know how it is supposed to look or where to get a replacement, but that little piece has to be bent back into some shape in order to turn the dial. Let me know if you figure out where to buy one or what shape it should be. Driver side mirror will not stay in place...Fix or New Mirror? 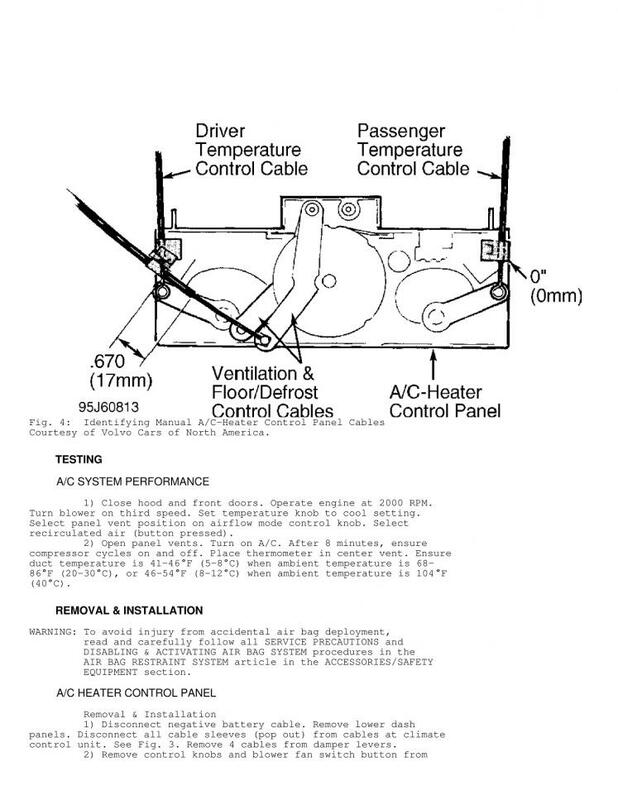 Quick Reply: Heater vent selection not working.